Current beverage trends are based on consumer demands like healthy nutrition, wellness, naturalness and quality. The respective package is also part of a successful beverage concept. BrauBeviale is this year’s most important capital goods exhibition for the beverage industry, but it is also ultimately influenced by the end product. The exhibition takes place in N?rnberg from 11–13 November and is presented in a new outfit: The some 1,300 exhibitors and approx. 33,000 trade visitors can look forward to a completely revised exhibition concept and supporting programme. 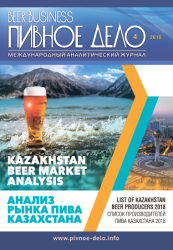 Small and medium enterprises and global players profit from the extensive spectrum of raw materials, technologies, logistics and marketing ideas, but the event also focuses on international beverage trends. “Nothing is as constant as change.” This classical quote successfully describes the present developments in worldwide beverage trends. Many globally operating beverage manufacturers face a growing group of small and innovative companies implementing and marketing independent ideas. 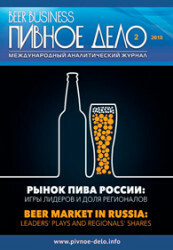 This is successful, as demonstrated by the growing trend towards the culture of craft brewing in the USA and worldwide. The “culture of craft brewing” is also the trend topic at this year’s BrauBeviale, which brings this global movement to Franconia – to the home of beer – with many events and campaigns. 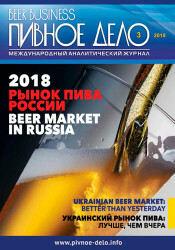 The trend theme is being pushed by the honorary sponsor of the exhibition, the Private Brauereien Bayern (Bavarian Association of Private Breweries), and the European Beer Star Award, which has had its exhibition home at BrauBeviale since 2004. The highlights include the presentation of the awards for 2014, free tastings accompanied by sommeliers, the Craft Beer Lounge, the Tour of Exhibitors with solutions specifically for craft brewers or the European MicroBrew Symposium now organized for the third time together with the Versuchs- und Lehranstalt f?r Brauerei (Brewery Research and Training Institute) the day before the exhibition. Jim Koch, founder and Managing Director of the Boston Beer Company, which brews the famous Samuel Adams, willopen the exhibition in BrauBeviale’s stylish new forum at the heart of exhibition activity. Many other VIPs from the international brewing scene will speak here, including Charlie Papazian, President of the US Brewers Association and initiator of the World Beer Cup, and Dr. Marc Rauschmann, Managing Director of the Frankfurt firm, BraufactuM. The rule for all beverage segments: the product and package should always form one unit to ensure the right communication with the consumer at the Point of Sale. Particularly beverage packages are highly innovative. For example, the package of an African beer brand is intended to convey quality, innovation and creativity at the same time. The beer is now coming onto the market in a 100 per cent recyclable can, which is the first container of this kind in Africa. A schnapps, for example, also plays on tradition and innovation and is offered in bottling jars as a reminder of the Prohibition period. The exhibition is also geared to innovative packaging. At the BrauBeviale Forum – supported by well-known partners from the sector – presentations, panel discussions or talks on beverage packaging design, packaging innovations and PET recycling invite visitors to stay, listen or join in the discussions. A welcome guest again in 2014 is the international competition for the German Packaging Award. The most innovative solutions from the over 200 entries expected for labels, closures and other packaging ancillaries, displays, sales packaging, promotion packaging, transport packaging, logistics packaging and packaging machinery will receive awards at BrauBeviale. For the first time the exhibition presents the PETnology concept “connecting comPETence” with the PETarena and Packaging Wall of Excellence, where companies present their diverse spectrum of PET products and services. The PETarena is also the place to go for packaging developers. The event starts with the two-day international PETnology Congress, which takes place immediately before the exhibition.